When I tell people that I am a plant scientist, they are generally aware that this means I spend a lot of time growing things. What they don't perhaps appreciate is that I also spend a lot of time destroying things. 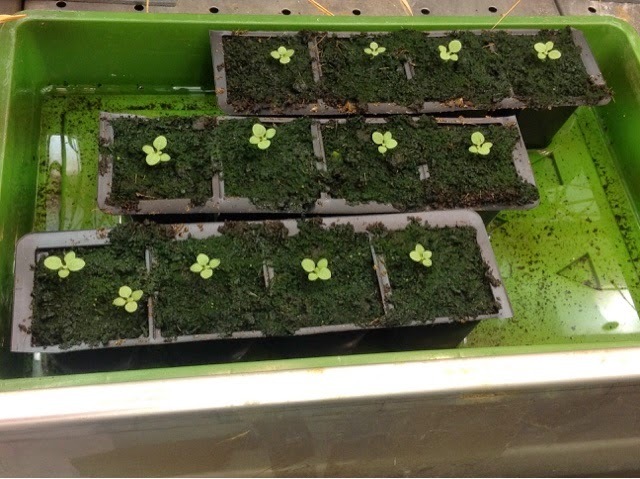 Clearing out Infected Arabidopsis plants ( and cleaning all the RHIZOTRONS afterwards) is one of my least favourite jobs and this week it was the turn of my first tobacco plants to face the chop. My beautiful tobacco plants - almost as high as I am and brightening up the drab growth chamber with their abundance of pink and white flowers - had only been brought into existence for one purpose; to become seed factories. I had originally been sent a small vial of tobacco seeds as a gift from a mentor at Durham University, where I completed my undergraduate degree. I wanted the tobacco in the first place to act as a susceptible host for Striga gesnerioides, the parasitic weed I am working on. 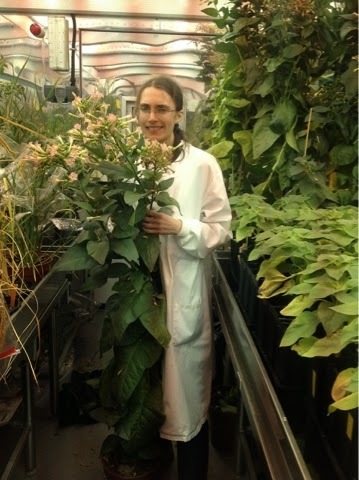 But I am fast running out of Striga seed so the idea was to infect some tobacco with the Stiga parasite, which should send up a forest of flowering shoots and produce enough seed to see me through the rest of my PhD. But first, I needed to bulk up the stocks of tobacco seed itself, as I had only the one vial from Durham. 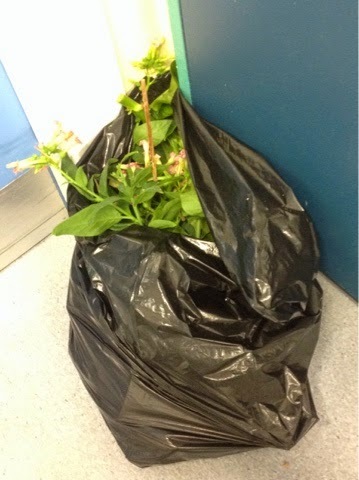 Hence, these plants were left to grow marvellously tall, flower and bring forth seed pods , which I harvested last week. It was easiest to stand the tobacco on the floor to get to them! Seeds collected, they had now served their purpose. Besides this, they were taking up space and had become infested with flies - bad news in a growth cabinet chock full of other people's experiments! So my supervisor ordered me to clear them out. 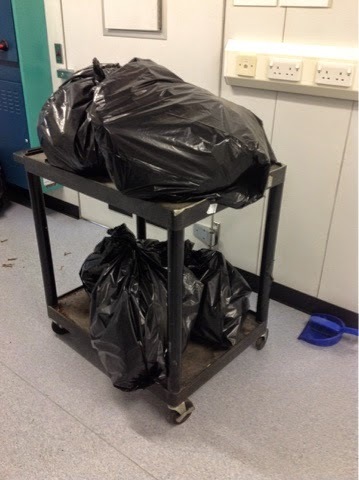 It was a sad afternoon reducing my tobacco forest to several bin bags. But it is all part of research. As a colleague said 'at least you don't work on mice'. But, in a key sense, my tobacco live on.... In the vials of new seed now on my bench shelf. And it is good seed- I planted a few to test the germination rate and every seed sprouted into a new seedling. Hello tobacco generation 2!